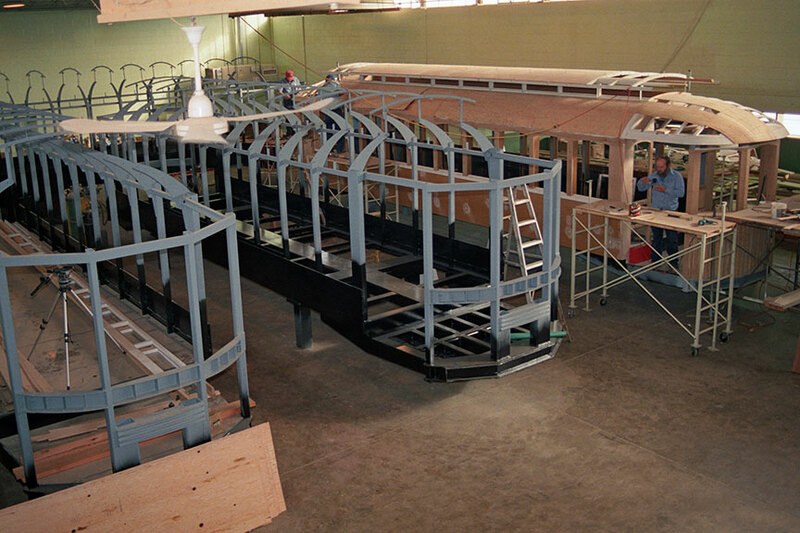 Gomaco Trolley Company has manufactured a set of four semi-convertible, double-truck trolley cars. 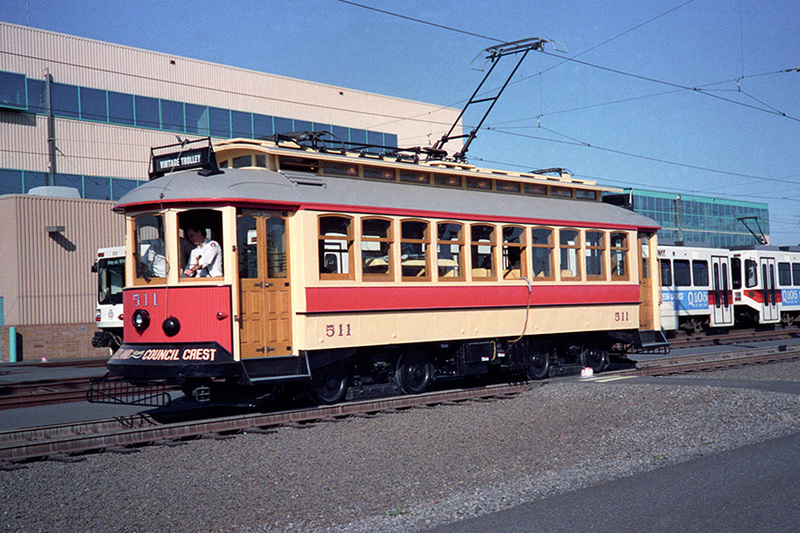 They operated in the downtown Portland, Oregon, district on the Tri-Met MAX light rail line from 1992 through 2013. 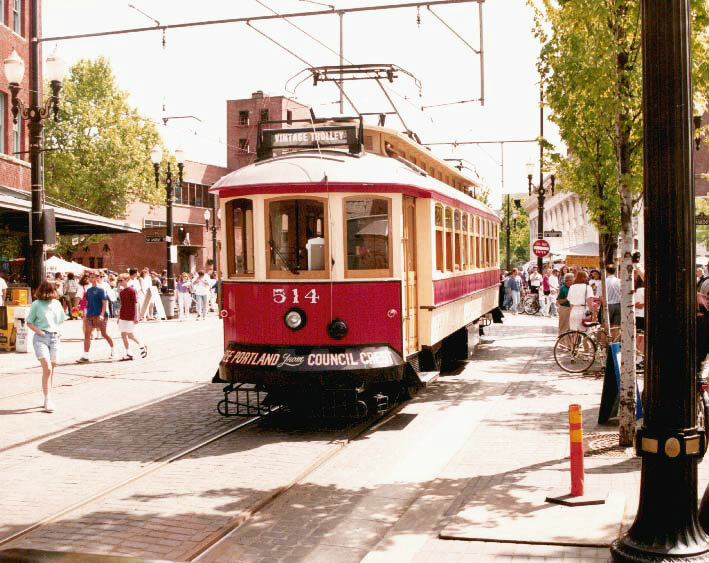 In 2014, trolleys #511 and #512 went to St. Louis Loop Trolley Transportation Development District, in St. Louis, Missouri, and cars #513 and #514 went to the Oregon Electric Railway Historical Society to run on the Willamette Shore Trolley Line in Lake Oswego, Oregon. 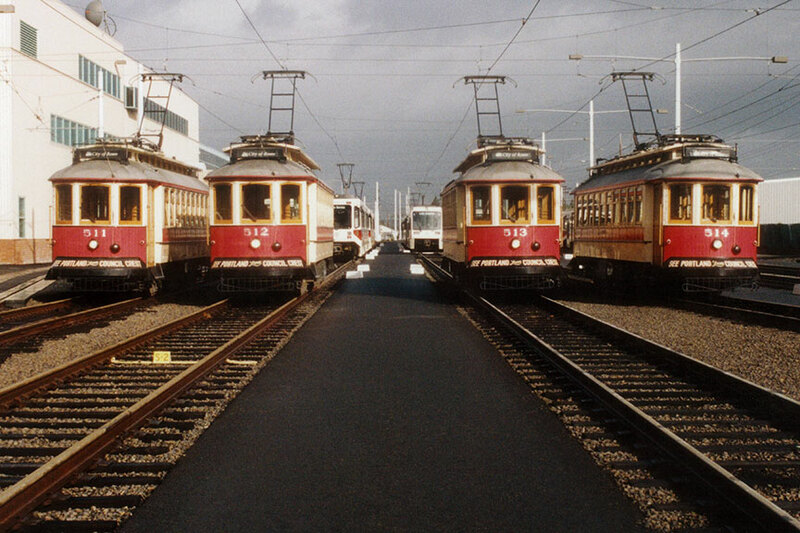 The cars are faithful reproductions of the 500 series car manufactured by J.G. Brill Company for the Portland Traction Company in the early 1900s. 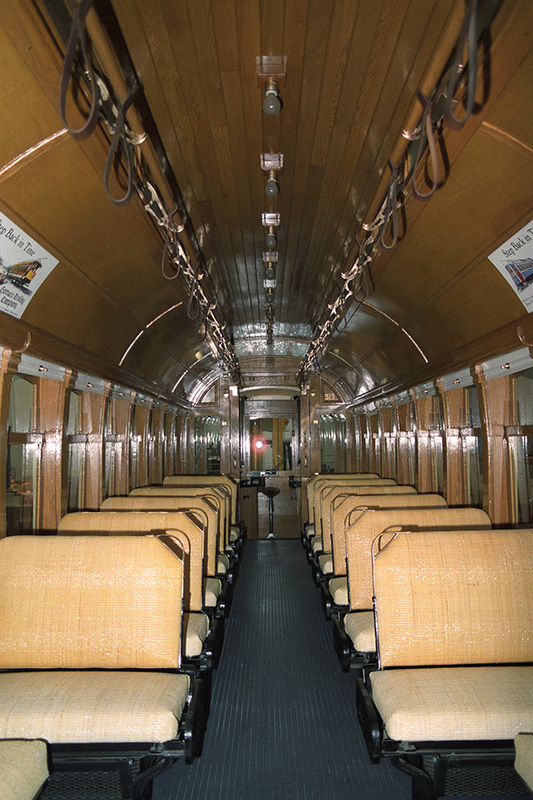 Historical accuracy and attention to detail were combined with passenger and operator safety in the production of these cars. 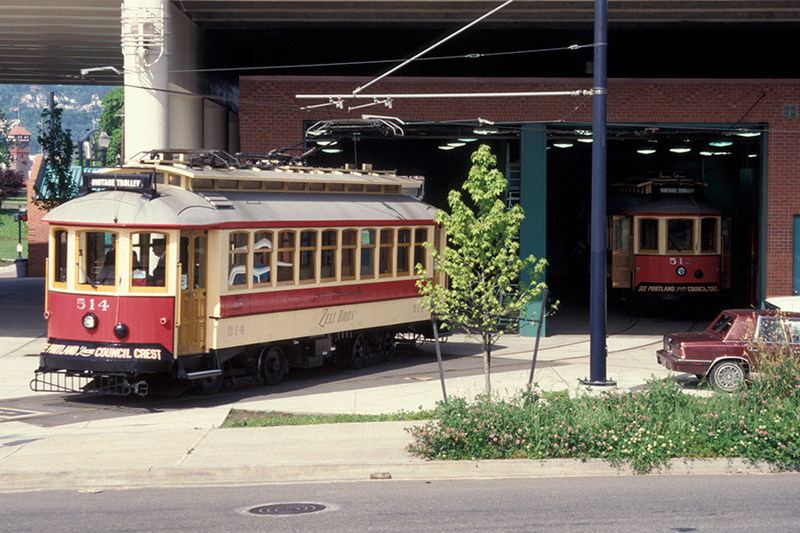 #511, #512 - St. Louis Loop Trolley Transportation Development District, St. Louis, Missouri. 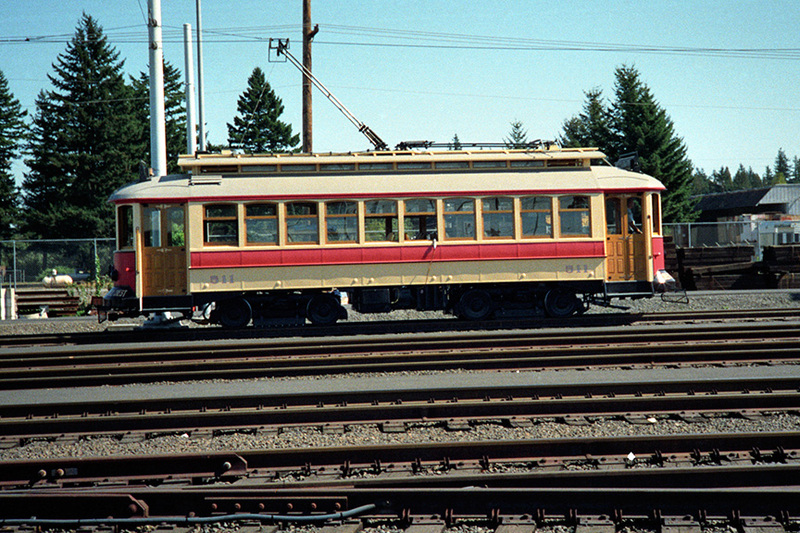 #513, #514 - Oregon Electric Railway Historical Society, Lake Oswego, Oregon. 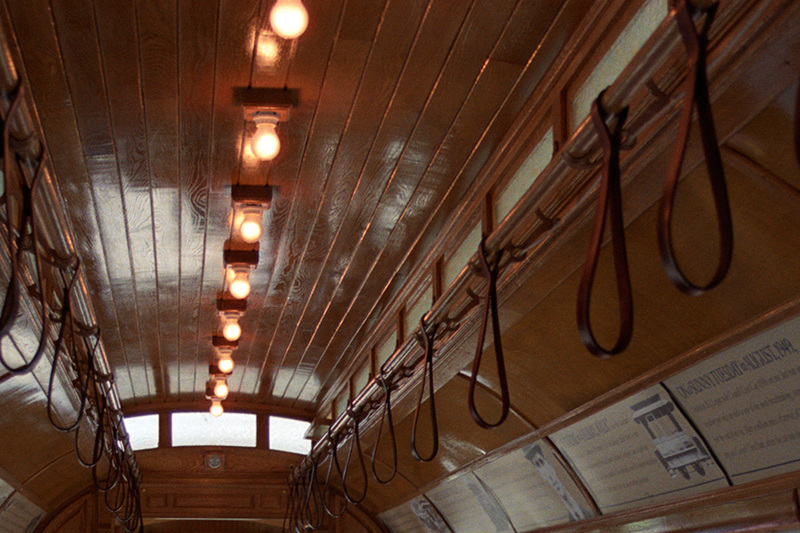 Source of Running Equipment: Chicago Transit Authority and Massachusetts Bay Transportation Authority. Running Equipment: Westinghouse 1432H traction motors, 55 hp, 750 volts, air brakes, Westinghouse YX-25 Motor-Generator with a Quincy 325LS compressor. Controls: Westinghouse cineston controller installed in a replica K35 enclosure. Total Crush Load: 65 people (does not include operator). Seats: Cane seats. 16 rollover. Four stationary corner benches. Window sash and interior trims and doors - oak. Outer woodwork - ash and oak. Headlining - tongue and groove oak and oak veneer. Floor - ply metal subfloor with grooved maple boards on wearing surfaces, Douglas fir under seats and ribbed rubber flooring on platforms. Paint: Red and cream. Color and details are selected by customer. Headlights - Automotive sealed beam headlight in housing by Gomaco Trolley Company. Marker lights - Automotive-style low voltage market lights. 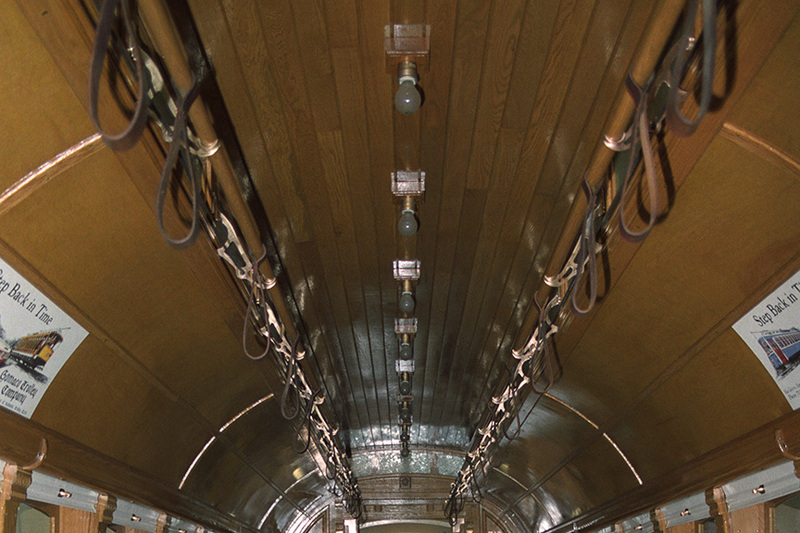 Interior lights - 110 volt AC incandescent bulbs powered by an on-board voltage inverter. 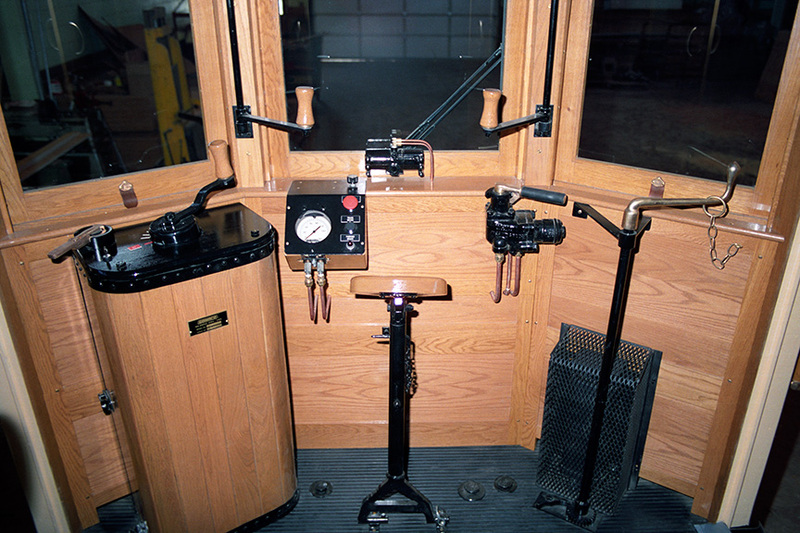 E-Stops: Emergency stop button located in each operator station. 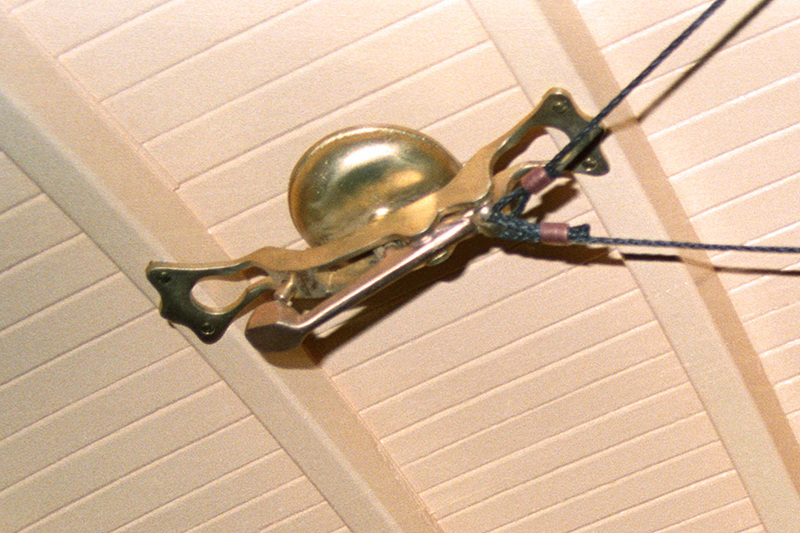 Steps: One solid mounted step at each door location. Floor: Ply metal subfloor with grooved maple boards on wearing surfaces. 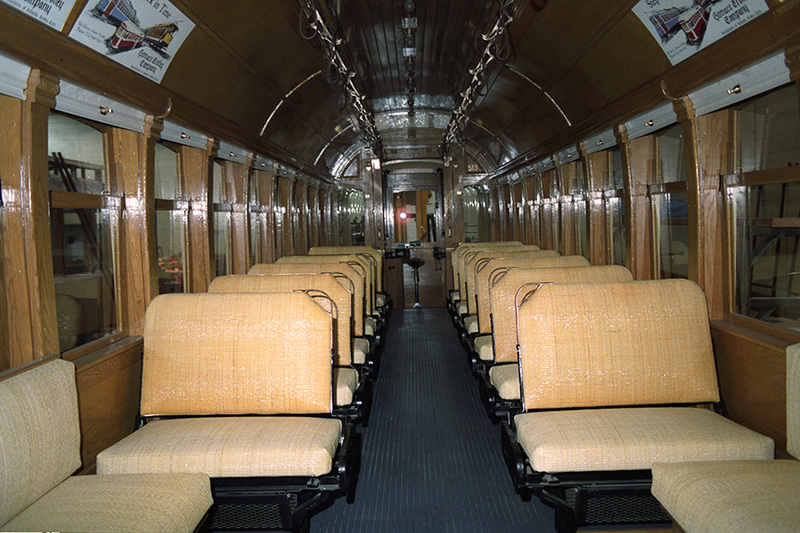 Douglas fir under seats and ribbed rubber flooring on platforms. 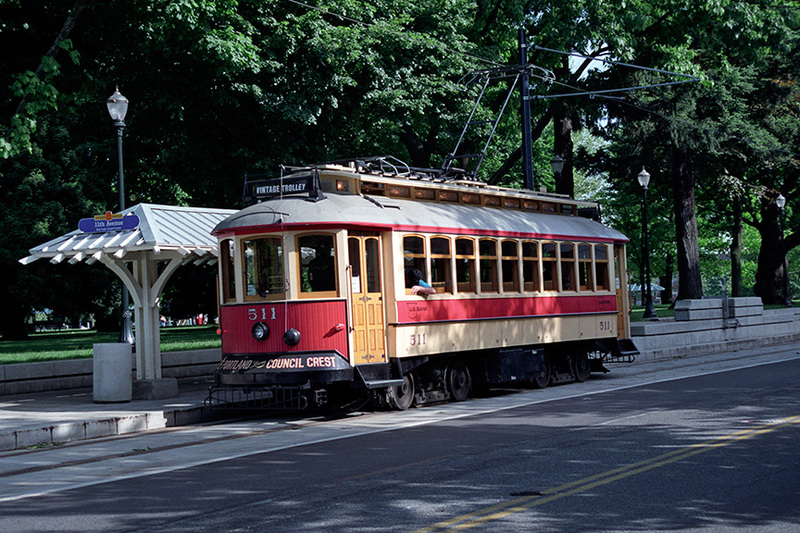 Floor plan for the replica Council Crest trolleys in Oregon. Floor plan for the replica Council Crest trolleys in St. Louis. 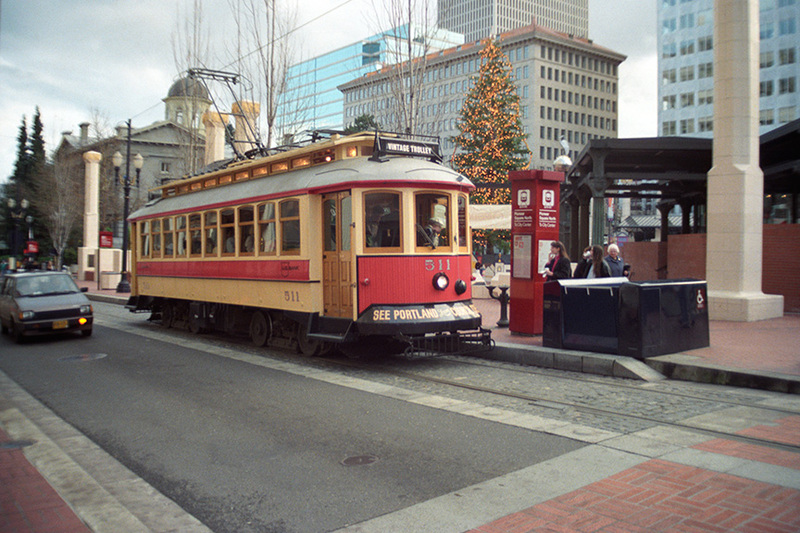 Replica Council Crest trolley #514 passes through busy downtown Portland, Oregon. Gomaco Trolleys can operate alongside the daily car and truck traffic. 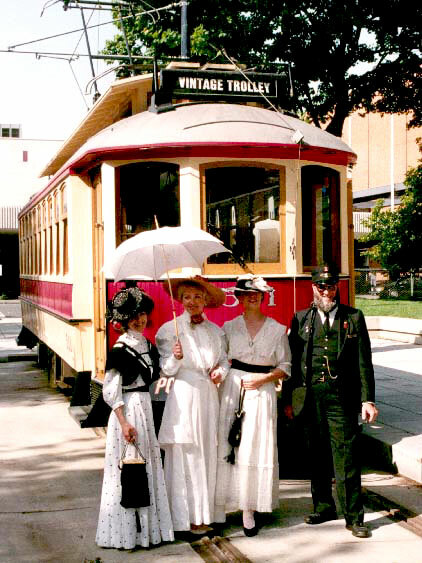 The replica Council Crest trolleys draw a wide variety of visitors. 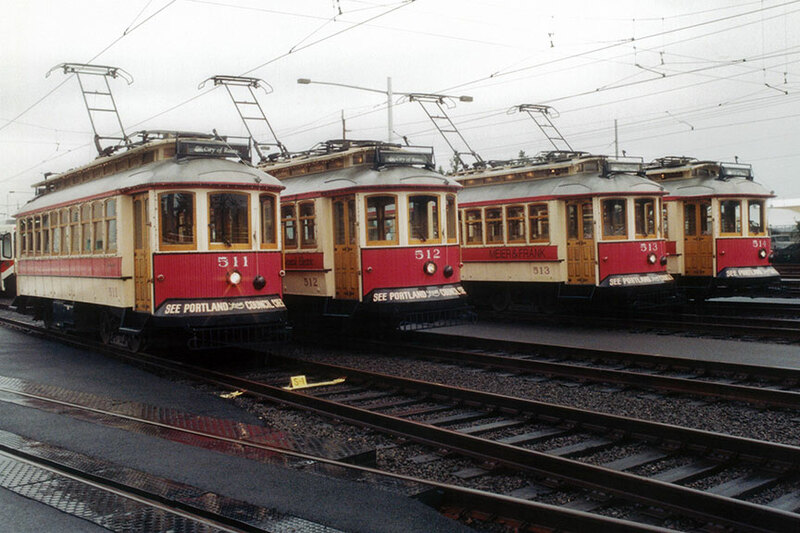 Replica Council Crest trolleys #511 through #514 are lined up and ready for a day of riders in Portland, Oregon. 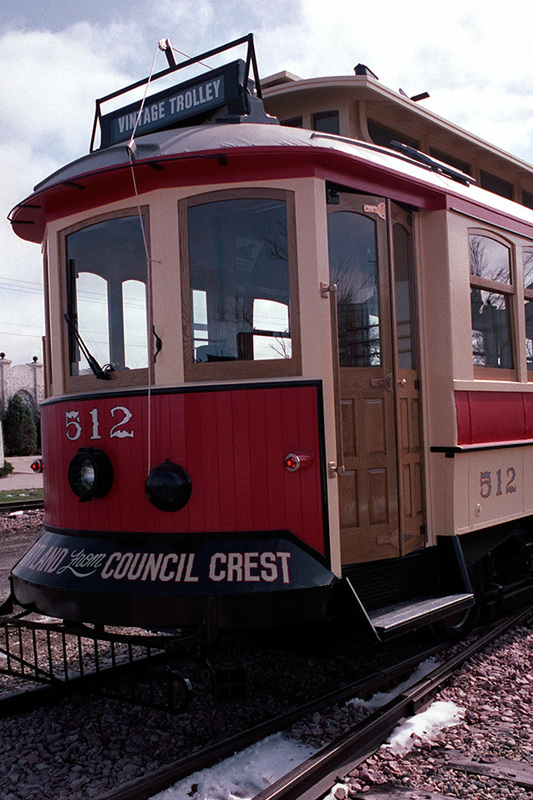 Council Crest trolley #511 picks up passengers at a trolley stop along the route. 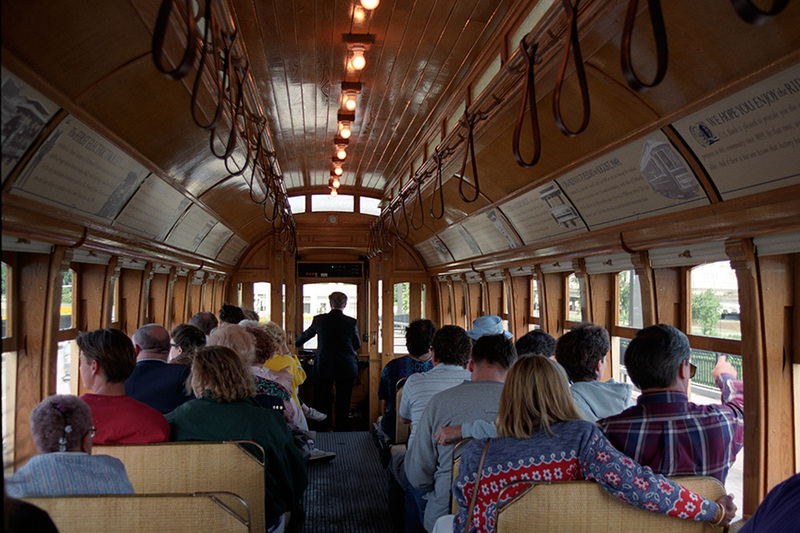 Each trolley will accommodate 65 guests, 40 sitting and 25 standing. 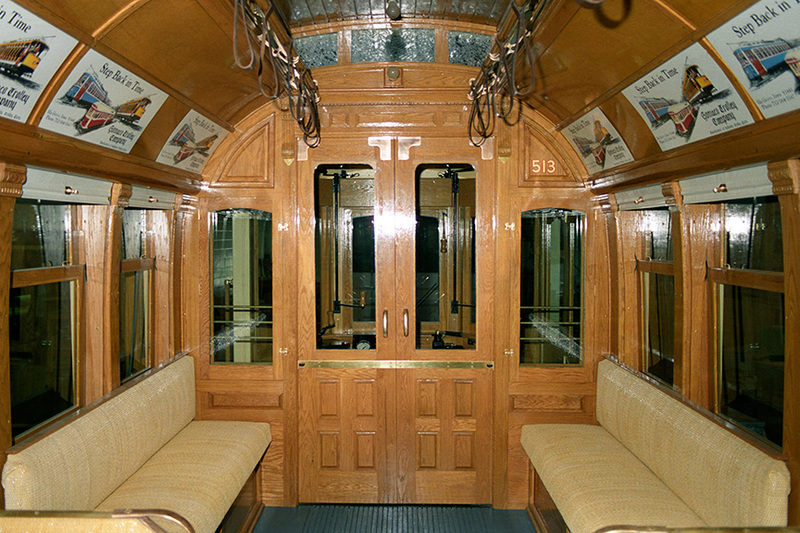 The replica Council Crest trolleys each contain cane seats, 16 rollover and four stationary corner benches. Interior woods are oak and maple. 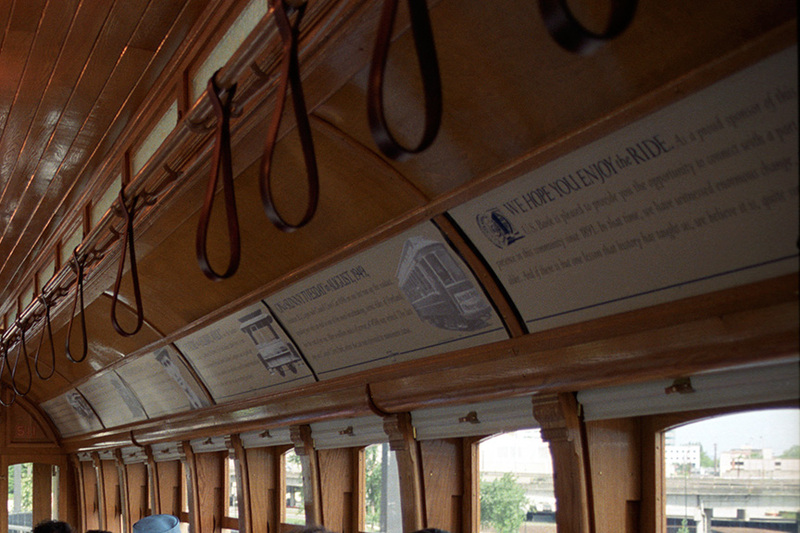 Advertising panels line the ceiling on both sides of the trolleys. The Council Crest trolleys leave their barn and start their day carrying passengers.